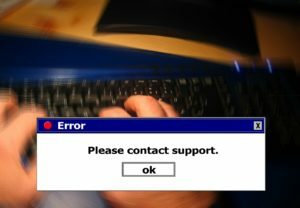 Do you have a broken website? Need help in repairing it? Aleph IT offers website repair Perth to get your broken site back up and running swiftly! Website errors are commonly encountered by businesses/organisations who invest on online marketing. There are many reasons as to why these occur. It cannot be denied that it is very important for a website to be maintained 24/7. Website repair is just one of the many website services in the market. You need website repair Perth when there is any problem with your website. A lot of IT companies offer this kind of service without taking these layers into consideration. These three are interconnected and cannot fulfil a website’s function without the other. Here in Aleph IT, we have a profound understanding of how these work as one. There are multiple solutions in fixing a website, and we can guarantee to provide the best one for you! Our website repair expert can troubleshoot and instruct you what steps to take after. DSN and host server have any problems. Your websites files and web browser are also taken into account during troubleshooting. We see to it that a thorough assessment is conducted prior to repairing your website. We don’t want to end up finding a needle in a haystack! Here in Aleph IT, we provide very affordable website repair solutions for SME and large enterprise in Perth. Our website support technician perth that compose of professional programmers and developers are knowledgeable enough in dealing in complex repair works. We ensure that our repair services utilize a competitive strategy that will help your website gain visibility and generate traffic. Need website repair Perth? You’ve come to the right place! Call us today and let us help you find solutions. This entry was posted in Website Repair and tagged affordable website repair, affordable website repair solutions, web repair.